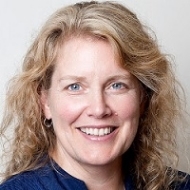 Today I’m interviewing Dr. Kelly Koerner, who is currently the Creative Director of the Evidence-Based Practice Institute, a company she founded. Her work combines technology, design, and science to improve mental health care and help clinicians implement evidence-based practices. Part of what I am aiming to do with this podcast is to interview the outliers, people who take a different approach to their research and career because they are often the ones from whom we can learn the most groundbreaking strategies and approaches. Kelly is certainly an outlier and also a remarkable researcher. After graduating from University of Washington, she was one of the earliest pioneers of Dialectical behavior therapy as the first CEO of Behavioral Tech, the main organization responsible for research on DBT and it’s training. After this, rather than going into academia, she instead decided to found a company that could use science to develop products that would allow for scale and public health impact. I love the way that Kelly thinks about research and how to approach it in a way that can make an impact. There’s so much richness in what she says in this episode that we can all learn from. Dr. Kelly Koerner received her PhD at the University of Washington, under the mentorship of Neil Jacobson, who helped instill in her a love for the vibrancy of science. Through conducting research with Marsha M. Linehan, Dr. Koerner developed clinical expertise in Dialectical Behavioral Therapy, borderline personality disorder, and suicidality. As the first CEO of Behavioral Tech she worked on how technology-based methods can be used to share Dialectical Behavioral Therapy training with therapists. Currently, Dr. Kelly Koerner is the Creative Director of the Evidence-Based Practice Institute, where she combines technology, design, and science to help clinicians improve clients’ outcomes. Recently, her projects have focused on suicide care, mindfulness for therapists, outcome monitoring, and how to implement and sustain evidence-based practices through the use of technology . She also serves as an adjunct clinical faculty member at the University of Washington. Before designing a study, Dr. Koerner spends many hours surfing the web—looking at design websites, social media platforms, and even song lyrics—to develop a greater understanding of peoples’ lived experiences. Close observation, perspective taking, and collaboration are core to her research. Although the adjective ‘creative’ could certainly describe Dr. Koerner’s work, she places a high value on replication, and on intimately understanding an area before working on it. Only after ‘finding the edge of what is known’ and clearly identifying a problem, will Dr. Koerner work on developing a creative solution. If you’re someone who loves research, but doesn’t want to follow the traditional academia career path, you won’t want to miss this episode.